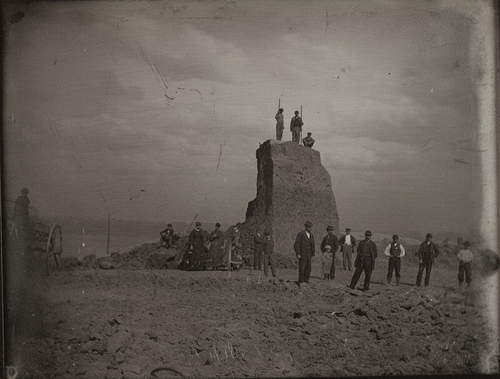 Description: Men, women, and a few children stand in front of and on top of the Big Mound during destruction. Two men hold tall pipes and a wagon sits off to the side of the scene. "Last of the "Big Mound"" is inscribed along the center of the bottom edge of the daguerreotype.